Happy Friday to you! I have to share about a super fun thing I'm participating in over on Instagram. It's a #12daysofannestagram challenge, and it's glorious to see such an outpouring of X-treme Anne love! One of the prompts a few days ago was to share something you'd love, if you already adore all things Anne - and my choice was 'The Anne of Green Gables Cookbook', which was written by Lucy Maud Montgomery's granddaughter, Kate Macdonald. It's a BEAUTIFUL book, with so many recipes that will seriously make you feel like you're sitting smack in the middle of Avonlea. If you love Anne, you neeeeeeeeed to check this one out. Just made this dessert last weekend. LIKE A LEMON CLOUD. Did you all know about The Austen Project????? Have I been under a rock??? And where are the last two books??? Thoughts and insights please, if you've read any of these. Julia and I just watched this movie and it. was. great. Do you have a kid super into slime? You should know about this website. Ok this was just the cutest thing I've read in a long long time. The NY Times Summer Reading lists. Prairie dresses!!!!!!! I got the H&M version, oh yes I did. The history of David Austin roses. And a lot of the care tips were totally opposite of what I thought. 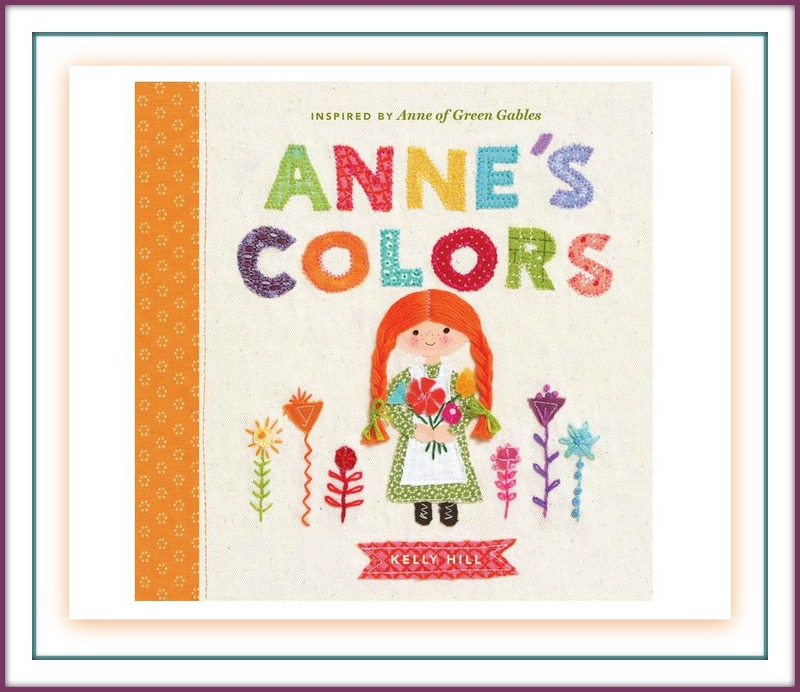 Cool Book of the Week: Even though my focus is shifting here due to my book surprise boxes and the growing up of my kiddo, I still see things that I love for the tiny tots - and since it's been all Anne all the time around here lately, I thought this sweetness needed to be shown. 'Anne's Colors' by Kelly Hill is so darling and adorable, and the embroidered art style pictures are totally engaging. I would have gone for this in a hot minute if I had a toddler aged kiddo. I would definitely give this as a gift! There's one about numbers as well, which is equally charming. Pair them with each other and bam, cutest present ever! Have a lovely weekend! It's supposed to rain, so I think after all the sad happenings in the news this week, I'm going whisk Julia up and go see 'Ocean's 8', which is supposed to be totally great. Regarding Jane Austen: I'm reading a YA novel you might enjoy--Bookish Boyfriends: A Date With Darcy by Tiffany Schmidt. Hi Hi Hi! Sorry I didn't see this before - Blogger is having an issue and not notifying when comments appear. It's very annoying! THANK YOU for the book tip, I'm going to look for it right now at the library! I did know about The Austen Project! I belong to a Jane Austen Book Club and we've read them all for the club. I've enjoyed them! I'm not sure what is up with the last two novels. Persuasion is my favorite Austen novel, so I'm wishing they would get that done. So I waited to open my Anne box till my daughter came home to visit (who happens to be named Anne! ), we just opened it and we both LOVE it!! Everything is absolutely adorable. 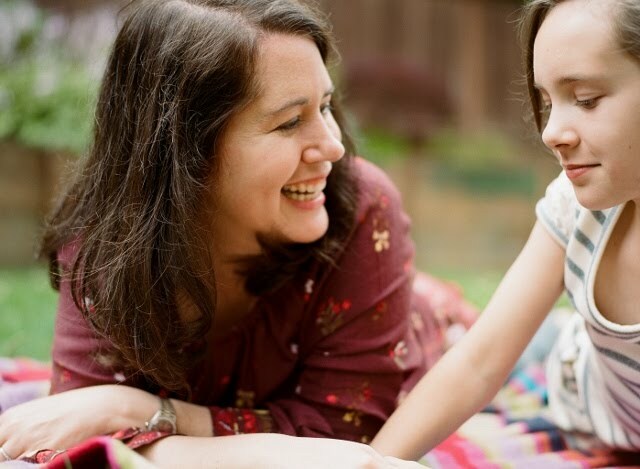 I do want to be put on the list for the summer seasonal box, and I also want to order one for my daughter. Shall I email you with her details?